After more than a decade of providing high quality RV skirting and shade materials, EZ Snap has thousands of happy customers. Here are some reviews that we have received from all over the USA, Canada and Australia. I did a lot of research on what do put on my skylights.The summer sun made my livingroom and house so hot. The EZ Snap covers are the answer. They do the job perfectly. The service is excellent I would recommend this product to anyone . As a child I always looked forward to the warm weather. 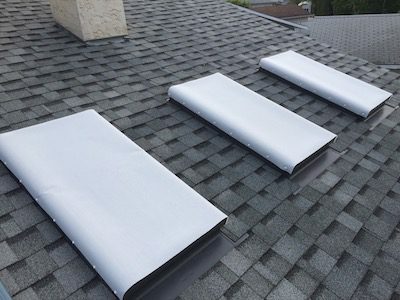 However, as an adult and the owner of a home with sky lights, the summer months were dreadfully uncomfortable... not to mention extremely expensive when running the air conditioner nonstop from May through late September! After looking through dozens of expensive alternatives I stumbled onto an advertisement for the EZ Snap Skylight Shades and figured I'd give it a try. Not only was the customer service extremely helpful when choosing what kit to order but the installation was a breeze! Now instead of living like an ant under a magnifying glass in my own home I finally get to enjoy the summer months again and start saving money on my electric bill! Proud homeowner of the EZ Snap Skylight Shade system. EZ Snap® Team - Thanks Bert. Glad the Skylight Shades are working well for you. We have a skylight in my daughter's bedroom, which let in too much light to let them sleep. We used to have a room darkener fabric attached by velcro to cover the skylight area from the interior. It didn't look great, and it started falling down. Thankfully with some quick research online, I found this fabulous product. We got the room darkening product by notating it in the order notes. It's the ideal solution - it was inexpensive, provided room darkening and room cooling for a bedroom that has a skylight that the previous owner's of the house installed. Plus, it was really easy to install! EZ Snap® Team - Thank you Amber. 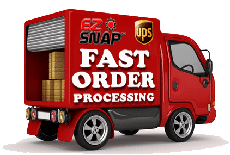 Great to hear that EZ Snap is working for you. We are impressed by the quality, functionality, and ease of install. I would definitely recommend this product to my friends. EZ Snap® Team - Thanks Bryan! I wanted you to know how happy I am with the screens used to cover the skylights and windows. EZ Snap® Team - Glad to hear EZ Snap Shades are working for you. I don’t know if you followed the weather in Alberta last weekend but we had sustained winds gusting from 50 to 80 km/h for three straight days. My skylight shades were exposed directly to the wind. I was positive they would give way at some point. I was wrong. I’m very impressed they held up to gale force winds. EZ Snap® Team - Thanks Fred. We appreciate hearing from happy customers like you. Just thought you’d like to see a few photos of my installation. It was a lot easier than I thought. We have a hot week ahead of us so am looking forward to seeing how they perform. 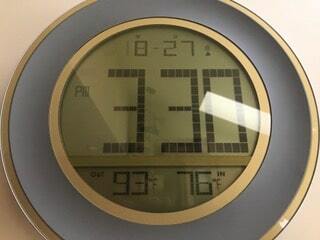 Our sunroom had been getting over 30C on hot days. With the covers in place it hasn’t been over 24C so they have reduced the heat entering considerably. I wish I would have installed them years ago. EZ Snap® Team - Great news... thanks for your photos and positive feedback. Super glad we did this and highly recommend it. Our kitchen has a number of southern facing windows plus skylights. When the outside temperature got more than 90 degrees - the kitchen would get into the high 80’s. 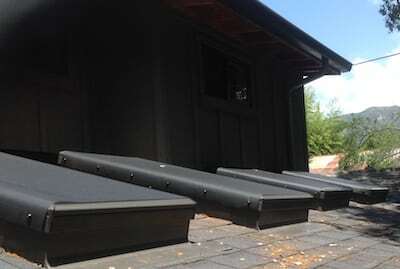 We ordered enough for two skylights and four windows with the EZ Snap system. Shipping was super fast and the packaging was well done. The system was super simple to install. The install took about two hours, including going up and down on the roof. After we installed, the temperature in the kitchen stayed in the 70’s even as it got to 90 degrees outside— a 10+ degree different. Take a look at the picture - you can see the outside temp is 93 degrees, while it is a cool 76 degrees inside. 1. Take your time and measure, re-measure to make sure you get it right. 2. Layout your screen in the same way you would cut wood or fabric to minimize waste. (Google "wood cutout program free” to find to free programs to do that.) With the best layout, you can buy exactly what you need with very little scraps. 3. If you are doing multiple side-by-side windows, line up the snaps on each window so that they are uniform and in the same location across the windows as you look at them. Makes the install that much more professional. EZ Snap® Team - Great to hear. Thanks for your review. I purchased the EZ SNAP for the first time as I had a Commercial Project in Downtown Milwaukee on a Large 14' X 14' Sky Light. The applications was simple just by following directions. I made a template to allow for all of the snaps to be uniformly placed, used the supplied cleaner and applied all of the 3M self-adhesive rivets, waited 3 days for curing and returned to measured out the screening, applied the snaps, and press into place. The customer has never used the conference room that the sky light was placed over until I was complete, the heat reduction and the lack of glare made the conference room usable. As a Salesman and Installer I would use EZ SNAP again! Please see the attachments of pictures that follow the steps I mentioned above. EZ Snap™ Team - Great installation Jerry. Thanks for sending us your photos. I have used the EZ Snap system on 4 houses now. I moved it along with the solar screens from Texas, California, South Carolina, and now Florida. I'm a repeat customer because I lost the original pin and studs in my last move. That's how much I believe in EZ Snap. There's nothing on the market that comes close to its durability and ease of use. EZ Snap™ Team - Thanks for your review Mike. Got my EZ Snap skylight package on time, I called to ask a bunch of questions and was walked through everything from A-Z. I’m not as handy as I’d like and these shades went on in a snap…no pun intended. I did take special care to prep the metal as instructed. EZ Snap® Team - Thanks for letting us know Dave. As promised, photos of my skylight shade installation. As you can see from the photo, I cut the material short to avoid the unsightly "folded corner" problem. This method however, may not work with larger, more exposed units, due to wind uplift and the exposed edge... Please feel free to share any comments you may have. No problem so far for this particular application. I believe (avoiding folding the corner over) works better. I am satisfied. EZ Snap™ Team - Looking great Jeff! Thanks for the photos. EZ Snap your product is saving me money! The heat stopping ability of your screen has changed how we use our house. We have 3 rooms that used to be so hot, we could not completely utilize them. Your heat reducing screen has allowed us to now enjoy activity in these spaces. We covered three skylights, a set of French doors ( facing south) and all the south facing windows. We still enjoy the view from the windows and the added bonus is, the daytime privacy the screen provides. We tested your product on one east facing window and were impressed enough to purchase enough for the south windows. Thank you for such a good product. EZ Snap® Team - Great news Frances! Thanks for letting us know. Easy to cut and snap. Hope the snaps hold out for several years on and off. Will remove during the snow months return during the summer . EZ Snap® Team - Thanks Jeffrey. Be sure to use the EZ Snap Removal Tool to easily separate your snaps when taking your shades down for winter. Excellent product with ease of installation. EZ Snap® Team - Thanks Richard! I was very skeptical at first if the EZ Snap system would satisfy our needs. The skylights in our kitchen caused about a 10 degree difference in cooling compared to the rest of the house. My wife wanted to have remote control blinds installed but knowing I would have to do the install caused me to do a bit more investigating for another solution. At a fraction of the price of blinds, I decided to purchase and install the EZ Snap system. WHAT A DIFFERENCE! Not only is our kitchen much cooler, but you can also see through the screens. EZ Snap® Team - Great feedback, thank you. Thank you so much. They look beautiful on windows as well as skylights. Really followed directions and easy to do. What a difference it makes. So glad we have done this. Talked about it last summer and happy this summer that they are on. EZ Snap® Team - Thanks for your positive review Ann Marie. We Love Our EZ Snap Shades! We love our EZ Snap shades. So much so, that we made a second order to shade additional windows. We have five skylights and two very large windows in our great room. The shades work great. They are easy to install and give the shade we need. And still have the ability to look out them with the same amount of visibility before they were installed. We have noticed how much cooler it is in our great room this summer with them in than last year. I highly recommend EZ Snap shades. I bought EZ Snap screens to cover 2 sky lights in my kitchen roof. Here in Philadelphia, having sun light and it's warmth in the kitchen is a huge benefit in the cooler seasons, BUT, we were roasting as the sun passed right over these windows this summer. We even had chocolate melt on the kitchen counter! We found ourselves avoiding the kitchen midday because it was soooo hot. Yikes! 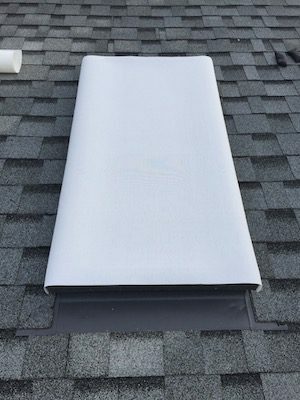 Receiving the EZ Snap screening and 'snaps', I waited until the cooler early morning (as recommended in the installation instructions), and crawled out our second story window onto the kitchen roof and completed the installation before the sun was up. It wasn't difficult. It took some finger strength, and in my case, a bit of balancing on the incline of the roof but what an INCREDIBLE DIFFERENCE these EZ Snap screens have made. WOW! Just as advertised, we see out, the light comes through but the overpowering heat is gone! The kitchen feels warm but (I wish I had documented some is the pre EZ Snap kitchen temperatures) NOT hot. I could not be happier with this product. It is truly amazing what a difference it has made in our house (and electric bill!). EZ Snap® Team - Nice work. Thanks for your kind words. Wife giving me hard time, heat from skylight, found EZ snap problem solved, I am very happy easy to install. Great product. I love it. I bought on line after reading about the product on your website. I needed it for a skylight in my kitchen in the summer the granite gets so hot and the glare was so bad I had to wear my sunglasses when I ate lunch. After my son installed your product I could not believe the temperature change in my kitchen and there was no heat coming from my granite. I love this product. It works just as you say it does. I have recommended it to all my friends and family. Great product. I love it. EZ Snap® Team - Glad to hear it Mary! Thanks for letting us know. Easy to install but not worth the cost. I spent $200 hoping that it would be half as effective at blocking the sun and heat as the website claims and I am disappointed. My home is just as hot and this material is not effective at blocking heat whatsoever. If you're looking to reduce AC costs, move to a new house. Don't buy this unless your goal is reduce the amount of light in the room by a small amount. House was 86° before they were installed on a hot day and its 86° with them installed on a hot day. I don't find that they were worth the money and I'm more disappointed because the only way to find out is to cut the material and render it "non returnable". I would return it and send it back if I was able. That would be the way for ez-snap to redeem themselves. Since they posted that their material, which is very similar to the material you put inside your silverware drawer, is 7 times more effective than sun shades and UV tint. My 86° house and I beg to differ. Help against a hot house. Granted maybe I need more vents or something but don't advertise to give everyone the false hope that one size fits all and your house is going to be cooler if you spend hundreds of dollars on plastic snaps and silverware drawer fabric. It's borderline false advertising. EZ Snap® Team - Thank you for your feedback regarding your EZ Snap install. When we first read your comments, we were perplexed as to why you said there was"no heat reduction in the house" after your install. When we did more research on your application and your specific install, it became clear as to what was happening. You had only ordered a 10 foot kit, but your room has many large windows and multiple skylights that directly face the sun. The number of windows you have and their exposure to the sun, create a very large surface area of heat loading on your house. 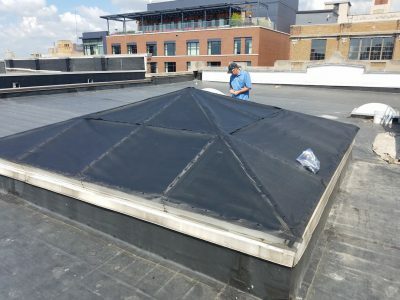 Covering just a small amount of those skylights or windows with your 10 foot kit will not help enough to make a major difference if the majority of your glass is still exposed to the sun. Here is a link to an informative article from GreenBuildingAdvisor.com ( www.greenbuildingadvisor.com/blogs/dept/musings/calculating-cooling-loads ) that details calculating your homes cooling load requirements. This article is written about calculating a cooling load as it relates to choosing the proper size air conditioner, but all the same considerations apply when using an exterior shade screen to cool the home. 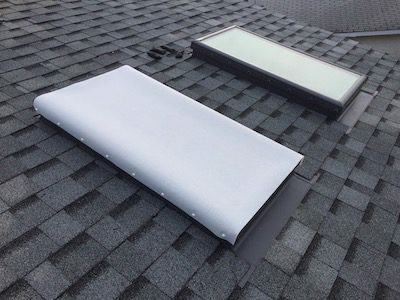 We know that EZ Snap will make a substantial reduction in the heat loading caused by your windows and skylights if you cover the majority of the ones that are allowing heat to enter your home. The physics of shading and the thousands of happy, cooler, EZ Snap customers can't be wrong. P.S. - We can also assure you that the EZ Snap mesh is a long way from being "Silverware drawer liner" to use your words. A lot of research and development has gone into creating the EZ Snap shading mesh to give it the properties and performance that it has. Presently, a number of our shading kit sizes are currently on sale, so this would be a great time to cover the rest of those exposed windows. We live in Santa Fe, NM, at an elevation of 7500 feet—very close to the sun! Our Pueblo-style, double-wall adobe house has a flat roof, and 15 skylights. What it doesn’t have is air-conditioning! In the summer, our house gets very warm, as you might imagine. After living with the problem for a few years, we finally got desperate! We bought some shade screening at Home Depot, and cut it to fit over each of the skylights. Originally we used bricks to anchor the loose netting to the roof, but it was damaging the roof so we needed another solution. After reading about your product online, we decided to give it a try—what did we have to lose?! We used your products (the EZ snaps) on the metal frames of the skylights, about 12” apart, and then stretched the screening and anchored it onto the snaps. This system has worked perfectly for several years, and my husband continues to be impressed at my resourcefulness! It is so easy to remove the screening in the late fall, and reattach it in the spring—your product makes our home so much more comfortable, I can’t imagine being without EZ Snaps! EZ Snap™ Team - Happy to hear about your success. Thanks for your feedback. Awesome Product Well Worth the Money! Just finished installing my Sun Shades on my two sky lights and I can't say enough good things about them. I am really picky when it comes to products I use on my home. This product is fantastic. Installation was very simple and the improvement was immediate. No more heat build up coming through my sky lights yet I can see through them just as the product advertised. Can't wait to spread the word. EZ Snap™ Team - Great feedback Ken. We appreciate your support. I used the 3M EZ Snap Studs and shade cloth to cover 2 skylights in the bathroom off our bedroom. The heat reduction has been substantial and the A/C is not coming on near as much. There was hardly any change in the light coming in, in our opinion. We are so happy with the results, that we have re-ordered so we can do more windows. I’m now able to keep my blinds open this summer to admire our beautiful view, without so much heat pouring in. Great Product, glad I found it. My husband attached it on the outside of our skylights, my kitchen window and the living room. This helps to alleviate a lot of the extra heat from the intensity of the summer sun. We are very happy with this product. Would very much recommend it to other. Saved me money and damage to my furniture. Trying to find a solution for our skylights....$900 to get the shades with solar remotes seemed too perfect solution, but very high cost. Came across information about this material that seemed too good to be true....keeps the view and stops the heat before it ever hit the window! Just put the fabric over the skylight a week ago....the four season room was starting to heat up and the air conditioning could not keep up, since it had no return air in the room. Very happy to report its doing a great job....and using the snaps made install pretty easy. Will post pics as well if this will let me. VERY pleased at this point....room is getting light the furniture is not hot in the least...it's all working so far! …even running the air conditioner all day and all night. We got three 6x6 skylight shade kits and installed them easily last weekend. For the first time, it is 98º outside and a cool 75º inside. We are also looking forward to lower electricity bills. Thanks for an affordable and really effective product. …Before I installed the mesh one one of the skylights, each thermometer read 120 degrees Fahrenheit. 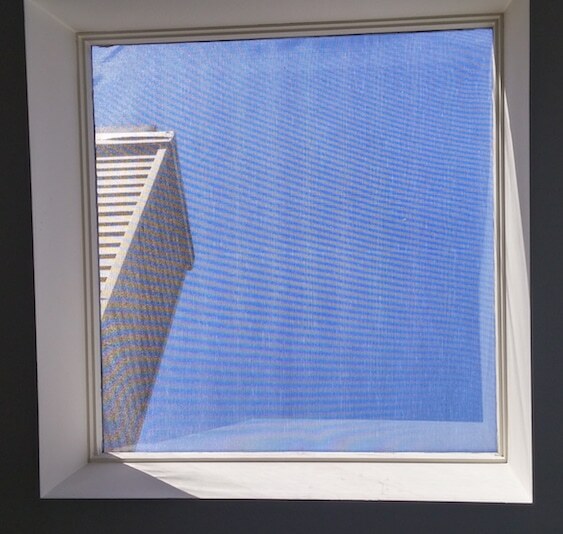 It should be noted that it was 12:20 Noon with no clouds.I then installed the EZ Snap mesh on one of the skylights and waited an hour before checking the thermometers. The one without the shade screen still read 120 degrees, but the one with the EZ Snap had dropped down to 85 degrees. We obviously have since installed it on both skylights as well as a bay window in the bedroom. BIG difference to the comfort of our home now.I would recommend these skylight blinds to anyone with problem sky lights.